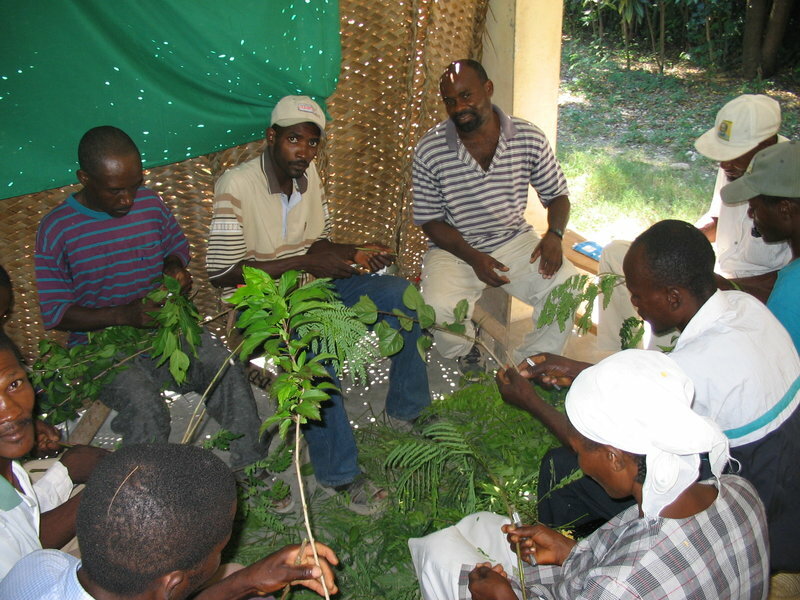 Workshops are an often-used and effective tool that extension workers can use to teach new skills to groups of farmers (Fig. 1). This document, drawn from the USAID/MEAS Technical Note on Presenting Workshops to Adults, explains how a workshop setting differs from that of a classroom/teaching setting, and how best to plan and conduct workshops to effectively transfer knowledge and skills to farmers. Adults attend workshops for varying reasons, depending on their needs and motivations. Some are asked by supervisors to attend while others are looking to interact with peers. Other participants may have a specific problem they want solved, or they may simply want to learn more about a specific topic. Farmers in any given workshop will have a mix of these expectations and goals. The challenge for the workshop designer, therefore, is to identify those expectations and craft the workshop to best engage and meet the needs of the participants. Workshops should be planned around very specific learning objectives. Too often, workshop designers try to include excessive information, with little being learned because of the amount shared. The intended outcomes and their importance should be stated early in the workshop. Workshop instruction should be developed around solving a problem or completing a task that is relevant to the participants. Provide an opportunity for participants to share their own experiences about the topics being discussed. Then use these real-life examples to highlight the key objectives of the workshop. Allot time for participants to practice new skills learned at the workshop. Participants who practice newly learned material in the workshop are more likely to implement these new practices when they return home. These interactions facilitate active involvement in the learning process, enabling participants to engage with the facilitator, the material and other participants. Such positive interaction is an important aspect of effective workshops. If lecturing is used in a workshop it should be brief. As learning is a social experience for most adults, plan times for participants to share and learn from each other in small groups. The workshop should also be an opportunity for participants to actively apply the new knowledge and skills learned during the training. Workshops can be an effective extension method if designed and facilitated properly. Workshop designers should facilitate an active learning process in which participants not only engage with the material but also with the presenter and fellow participants. These interactions help farmers to readily acquire new knowledge and put into practice what they have learned. Myers, Brian E. 2011. Technical Note on Presenting Workshops to Adults. Modernizing Extension and Advisory Services. Barrick, Kirby. 2012. Methods and Techniques for Effective Teaching in Extension and Advisory Services. Modernizing Extension and Advisory Services.